Idris Elba and David Oyelowo rung in the new year right by being recognized on Queen Elizabeth's annual New Year's Honors list. Both actors were named to the Most Excellent Order of the British Empire for Drama. "Awards and honors come in all shapes and sizes and all as significant as the other. But this is beyond special as it comes from queen and country, and I couldn't be more proud for receiving this right now. What a year. On me head son!" Elba said in a statement. Elba is currently up for two Golden Globe awards for his roles in Beast of No Nation and Luther. 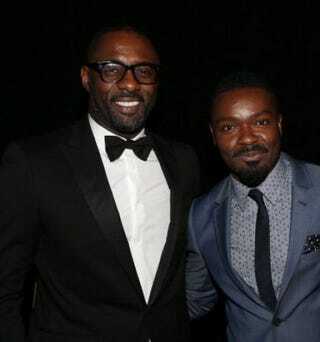 Oyelowo, who starred as Martin Luther King Jr. in Selma, also received an OBE for Drama. "To be honored by the queen in this way, having been aided by her son's charity, feels like a beautiful full-circle moment," he said. Congrats to both talented men!